Best Pins For Moms Application Page! As of 02/04/2019, we are not accepting contributors until further notice. Thank you so much for your interest in joining our Best Pins For Moms Group Board, but before you start to fill out the form, please read the entire page. We have created a form to make sure that the content being pinned to this Pinterest group board is valuable to readers. This means that if your content is not worth it or you don’t have a blog, you will not be accepted. Majority of pinners don’t repin from group boards and simply automate their Pinterest scheduler to pin to group boards only. We get that; we do it too! But it is important to pin other pins from a group board to keep the group board going. Best Pins For Mom Application Page! Best Pins for Moms Pinterest Group Board welcomes posts that are dedicated to helping everyday moms. Of course, this makes this board popular because it is open and accepting contributors when many others are not. As new bloggers want to start experiencing blogging growth, I continue to accept and keep my group board for that reason. Pinterest group boards are the best way to drive traffic to your blog, and I am happy to help you! So what will not get you accepted? I know your time is precious and you are busy but so is everyone else. This form was created to improve the quality of Best Pins for Moms group board in which you want to contribute so keep that in mind. If you can’t REPIN from the board and show us proof that you did it, then you won’t get accepted. By showing proof is the copy of the Pinterest links of the pins you have repinned. That means 10 Pinterest links for each pin! An email with 10 links. Come on now, we are all busy and if you can't repin then that's OK, you just won't be accepted to the board. You only have one chance to fill this form out and it is up to you so make sure you follow the fill the form correctly. We are looking for 10 links that show you went to Best Pins for Mom board and repinned pins for that board. Now that you understand some of the rules about this group you will learn more about our rules in the forms. You can find the form at the bottom of this post. Any question please email us at [email protected] with the subject line BPFM Application. Below you will find affordable ebooks and great resources to help you with your blogging business. 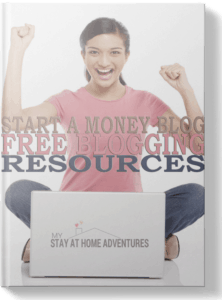 A guide dedicated to new bloggers where you will find free or low-cost resources to help your blogging adventures. You can read all about it here. The step by step ebook for moms who want to start a blog, learn how to get traffic and how to make money with their blog. 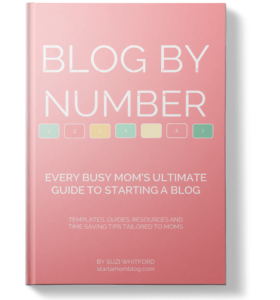 Learn more about Blog By Number Ebook by clicking the photo below. Have your old popular pins not bringing you traffic? 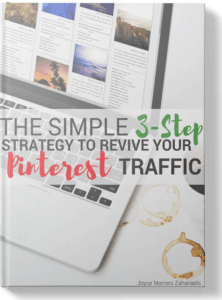 Learn how you can revive your Pinterest traffic and bring those popular posts back to live! Join Blogger on a Budget Facebook group and join a community of bloggers who love good products on a budget! Blogging doesn't have to cost you too much money! Please fill out the form below. Keep in mind that we look over applications once a week. If your application is not accepted we won't contact you. If you have other accounts you want to join you need to fill out the form below.